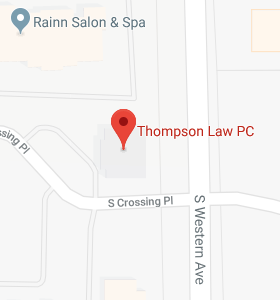 Trusts for Privacy - Thompson Law, P.C. Trusts avoid the probate process, which is a public process to change title of assets from the deceased person to the new recipient. Trusts may be helpful in tax planning. Specialized irrevocable trusts may be helpful in qualifying for Medicaid. Asset protection. Assets left in trust for beneficiaries could provide them asset protection as long as distributions are in the trustee’s complete discretion and the trustee is independent. Asset management. A trust can be useful to leave assets for the benefit of a beneficiary who is unable or unwilling to manage assets for themselves, such as a minor or immature person. Divorce protection. By leaving the assets in a trust, the assets won’t be comingled with the beneficiary’s spouse’s assets, which helps protect them in the event of divorce. Special needs. The assets for a beneficiary who is disabled and expected to need public benefits can be left in a special trust and not jeopardize those benefits like an outright distribution to them. In addition to all of the above wonderful reasons, unlike a Will or dying without a plan, both of which would send the assets through the probate system, a trust avoids probate and the public process which it entails. The privacy which a trust affords is one of the key reasons trusts are used by many people who guard their privacy zealously, such as celebrities. For example, when comedian Garry Shandling died in 2016, he left a probate estate with a net value of less than $669,000. It’s suspected that Shandling left a trust which held other assets. Here are links to stories about Shandling’s death and estate. Of course, we’ll never know how much Shandling left through trusts, because of the privacy they provide. 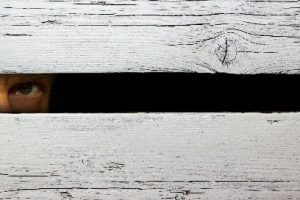 If you don’t want nosey neighbors and distant relations to know your business and who’s getting what from you, a trust may be just the ticket to protect your affairs from their prying eyes.